Just like all other aspiring project managers, looking for the perfect tool to make you a standout is quite a challenge. By and by, more individuals take the project management path because of different whys and wherefores. But all boil down to being part of a community of highly regarded professionals, who continuously look for career advancement. So, how do you create your own name in an industry where competition is in the normal course of things? The answer lies with a certain certification that has been supporting project managers for many years now. Often labeled as one of most coveted certifications in the field of IT, the PMP certification opens up a lot of paybacks to your career. No wonder why many would consider that not having this certification means you are still a half-baked project manager. Thus, if you don’t want to be tagged as one, it’s time to get on with the PMP or Project Management Professional certification. Here are some of the most important reasons why adding PMP makes every ‘project manager’ turn into a ‘real project manager’. The fascination among newbie project managers is always on the loose. They would always find ways that will help them grow as a professional and as an individual. With PMP certification, this constant curiosity is filled in with knowledge and skills needed in your conquest. And this credential isn’t like any ordinary certifications because it does not just satisfy the standards―it sets the standards. This globally acknowledged certification offered by the ever-reliable PMI or Project Management Institute is a notably respected validation for project managers in the world. Earning that coveted ‘yes’ from hiring managers isn’t a piece of cake. Plenty of hurdles may come along your way that will test your patience. Consequently, you should add something to your resume that will attract attention to the employers. With PMP certification, you no longer need to go through a rough patch to make you a standout. It is because the PMP certification is the best feature you can incorporate into your profile. A very valuable certificate course for project managers, the PMP credential is dubbed as the missing piece that employers look for applicants. A person with PMP certification often gets the most challenging job roles, which help magnify their professional careers. The reason for such is that PMP certified professionals have already verified their expertise and competence in handling more complex projects. The validation starts with how these individuals prepare and pass for the PMP certification exam. For the record, PMP is considered one of the most perplexing yet fulfilling certification exams. Hence, the level of difficulty is best put into test by a series of tough job functions. Now, this gives the opportunity for project managers to go beyond the norms and magnify their career to show their credibility and versatility as a professional. A project manager must be equipped with leadership skills to ensure that projects are completed on time, with close to zero amendments. Thus, their knowledge and skills must go hand in hand to be able to lead and deliver credible results. With the aid of PMP certification, project managers can effectively negotiate among its members through a common business language. The collaboration between managers and members greatly impacts the end results. Thus, project managers should know how to excellently communicate with team members to make sure that they are all on the same page―following the same set of standards and having the same goal. With that, there would be lesser risks and more successful projects. The intrinsic value of PMP certification extends to the expansion of one’s networking scope. It brings together all the PMP certified professionals in the world with the aim to foster and give support to each member. With a community of almost a million PMP exam passers, it is with no doubt why the certification continues to be a fervidly recognized validation. Being part of the PMP community allows professionals to interact and showcase their expertise in the virtual and global platform. Not only that, you gain rapport with people on the same path as yours, who also want to take a step forward in their careers. Uncertainty during business downtime leads to possible lay off of employees. However, if you are a certified PMP employee, you get a higher chance of being retained by the employers because of your utmost significance to the business. Employers know that these people can help the organization get back on top through their valuable expertise and credible skills. This job security feature also extends to a range of job opportunities given to PMP holders. With the PMP certification, you can venture into different management roles that are deemed related to your experience and preference. When education and experience are coupled with PMP certification, you can expect for a salary bump that would surely inspire you to work harder and better. Another significant reason why project managers get such certification is that they get higher compensation for equally challenging job scope. This means that they earn what they work hard for, or even more. The average salary of project managers with PMP certification runs from $100,000 to $120,000, which is considerably 20% higher compared to non-certified individuals. As a result, PMP is steadily one of the highest paid IT certifications in the world. And to make it more fascinating, the salary trend for PMP certified professionals remains to be on the positive side. 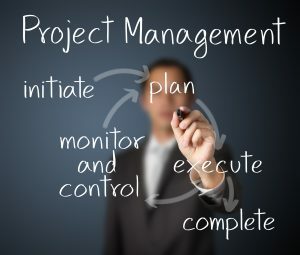 Wrapping up all these benefits, there’s no better way for project managers to create a notable reputation in the industry than to earn the PMP certification. This kind of validation may be time consuming and expensive, but you will be rewarded with perks that will surely make your project management career as fruitful as it can be. This is the main reason why professionals utilize the PMP certification to help them become a full pledge project manager, whose skills and expertise are suited for any type of organization. ← Why CISSP Certification is Vital for Cybersecurity Specialists?